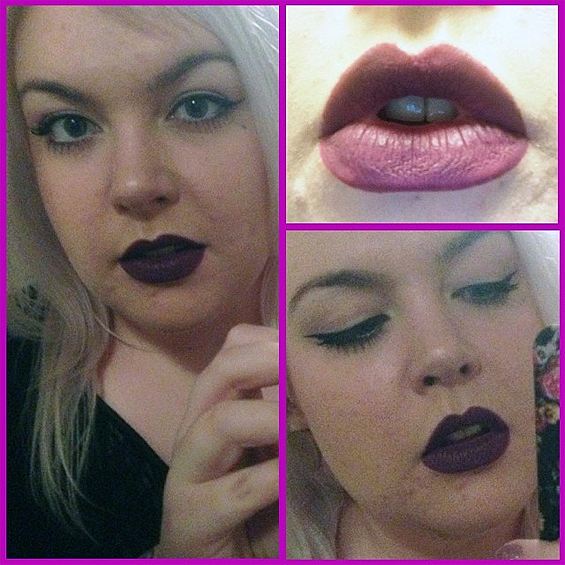 MUA Luxe Velvet Lip Lacquer Review in Kooky - Sugar, Darling? You may have seen me post the above picture early last week when I was having a play with my new purchase of MUA's Luxe Velvet Lip Lacquer (apologies for the quality of the above photo). I just couldn't wait to put it on after it arrived in the post and applied some as soon as I got home. 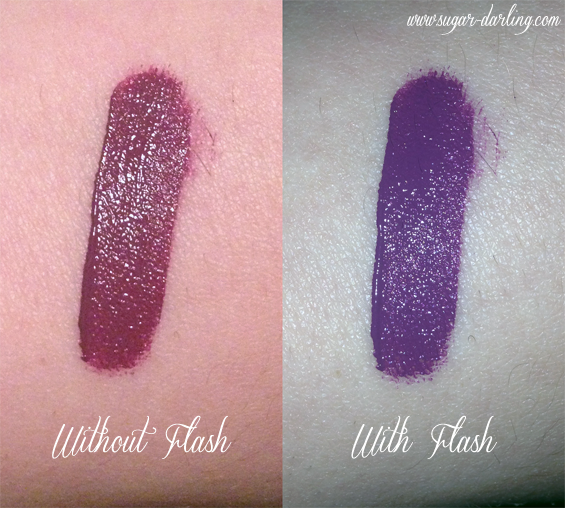 I had wanted to order both the shades Kooky as seen in this post and Reckless, I ordered them both from Superdrug but was then disappointed when I got an email saying that Reckless was out of stock so they were refunding it - it's actually available again now so I think I'm going to order one directly from MUA this time around along with, most likely, all the other ones too! I'm sure you will have seen lots of lip lacquers around recently as they are quite the in thing, and I'm really not surprised as they're a great long lasting lip colour with a gorgeous matte finish which I love oh so much. They can be kind of pricey depending which brand you go for and I have only tried one other, Velvetines by Lime Crime which I really liked. MUA are a great budget make-up brand who I have found deliver good bang for your buck - I have a few of their eye shadow palettes and their highlighter all of which I use regularly. I was really impressed with Kooky. It's a great deep plum purple which shows as more of a grape tone if you get snapped with flash. If you aren't that experienced with liquid lipsticks you might need a bit of practise before you can apply it neatly - you might find that using a lip brush rather than the doe's foot applicator makes it easier to get a neat line. You want to make sure you get the colour on evenly too so you may need to add a second dab of colour to some areas to get a nice even coat. Once you have it applied as you desire do not press your lips together or eat anything or kiss anyone or do anything with your mouth until it is completely dry which takes a few minutes, this way it will dry into a perfect matte coat which won't budge until the next time you eat. Seriously, when it's dry you can touch it and even run your finger over it or give someone a smooch on the cheek and it won't budge - mine only came off when I ate a slice of pizza. I'll definitely be buying the other shades and I think it really stands up to the competition of other more expensive brand's versions. The bold shades are perfect for wearing as a pop of colour with a slick of black eyeliner. If you want something daring and delightful, give it a go! MUA's lip lacquers go for £3.00 each which is a complete steal and are available in five shades which you can see here. You can purchase MUA directly from their website or at Superdrug.